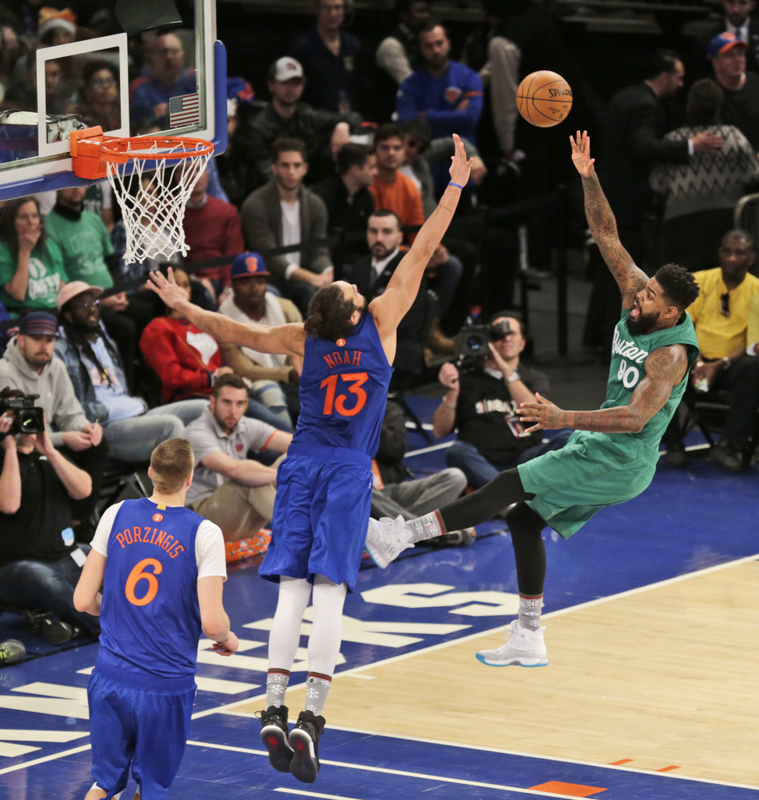 Boston gives up lead before holding off New York Knicks. NEW YORK (AP) — When the Knicks tried to make a Christmas comeback, the Celtics’ response was strong and Smart. Celtics: Boston beat New York for the fourth straight time. … Horford and Smart each scored 15 points. Knicks: Anthony shot 9 for 24 and felt short of the 34.3 points he was averaging on Christmas, which was tops among active players. He did pass Hall of Famer Elgin Baylor to move into 28th place on the NBA career scoring list with 23,156 points. Baylor had 23,149. … Porzingis finished with 22 points and 12 rebounds.